CannaLife is proud to bring you some of the purest quality and most consistent CBD Oil available on the South African – the result of extensive work to ensure that all our CBD Oil is produced from top quality organic CBD cannabis. CBD is a cannabinoid found in both cannabis and hemp. By using carefully controlled organic cannabis, which only contains trace amounts of THC – less than 1% THC, which means it’s impossible to get high from it. Using the most hygienic and least intrusive methods to extract the oil, the pure CBD Oil is completely free from any herbicides, pesticides, GMO products, preservatives, or any other form of additive. So that you are getting pure CBD in its oil carrier . CannaLife CBD Oil has a recommended daily dosage of 5-7 drops, 2-3 times a day, depending on your ailment or condition. Because CBD oil is a perishable product, it needs to be stored in a cool, dark place (ideally a fridge). CB2 receptors are primarily found in the immune system. 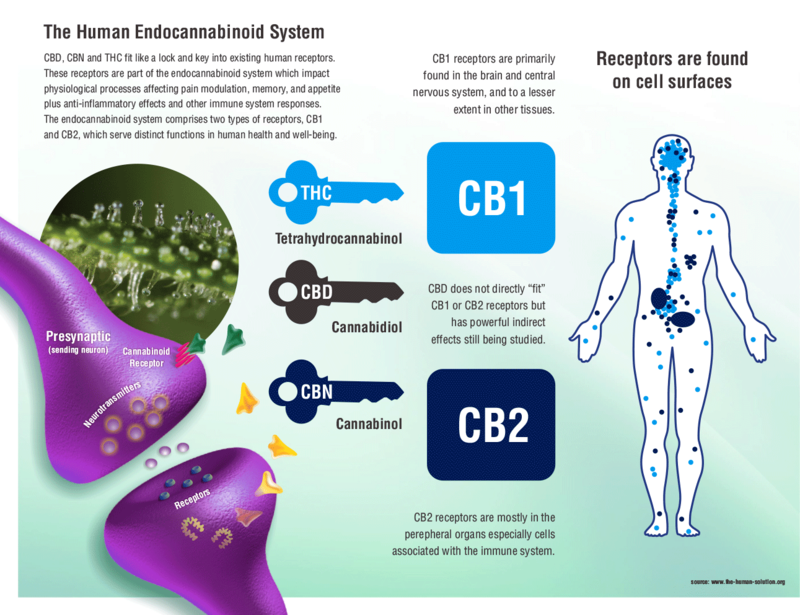 CBD binds to these receptors and produces anti-inflammatory effects. CBD has gained much attention because of its promise as a medicine. According to a 2013 review published in the British Journal of Clinical Pharmacology, studies have found CBD to possess antiemetic (reduces nausea), anticonvulsant (suppresses seizures), antipsychotic, anti-oxidant, anti-cancer, anti-depressant, and anti-inflammatory properties. CBD provides relief from an array of maladies including inflammation, anxiety, pain, seizures, spasms, cancer, nausea, PTSD, depression, and infections. Cannabinol (CBN) is another non-psychoactive cannabinoid known for its sedative effects. According to SteepHill Labs, low doses of CBN produce sleep aid effects comparable to 5mg to 10mg of the pharmaceutical drug, Valium.